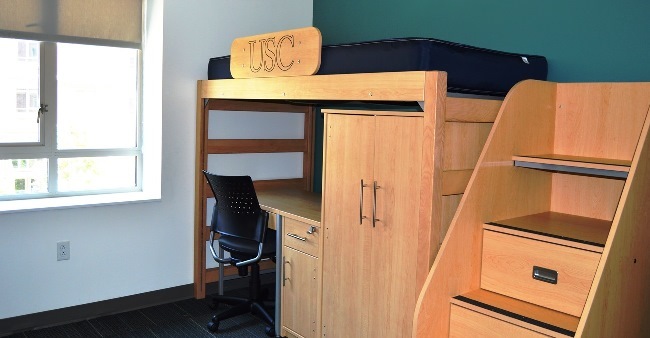 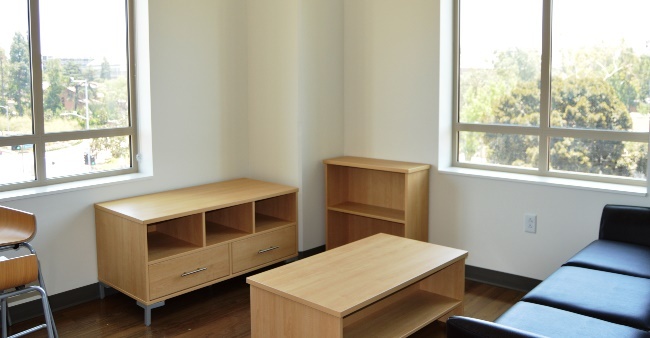 Located directly across Jefferson Boulevard from the main USC campus, Priam Residential College is convenient to classes, libraries, dining and other campus facilities. 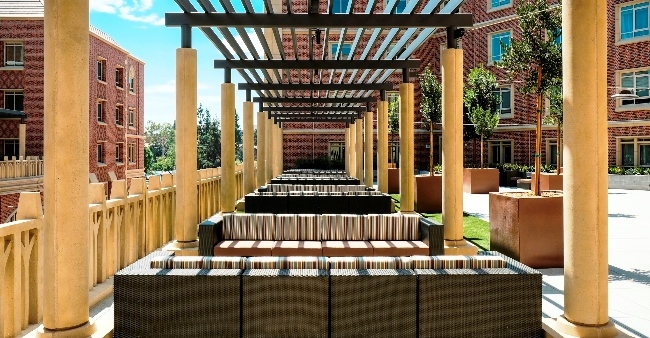 A large second floor outdoor patio deck overlooking the plaza is a great venue for taking in the sun, visiting with friends or just people-watching. 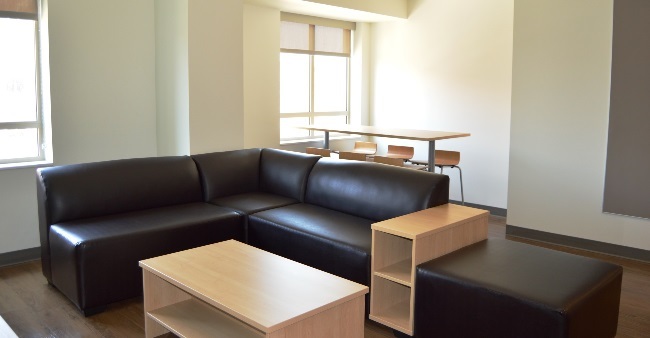 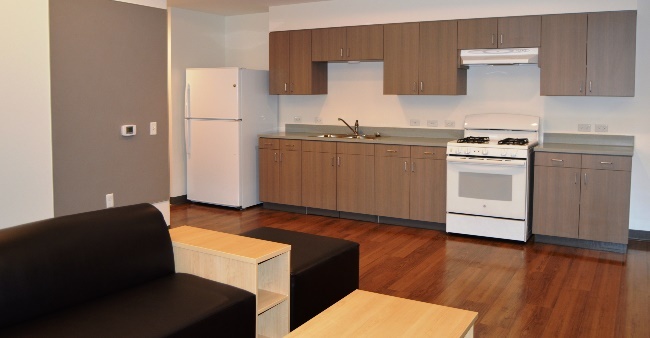 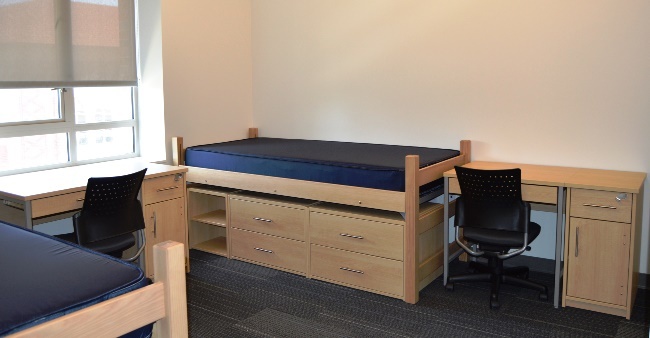 The five story building provides a varied selection of apartment types for sophomores, juniors and seniors, offering configurations to accommodate most price points and roommate groups. 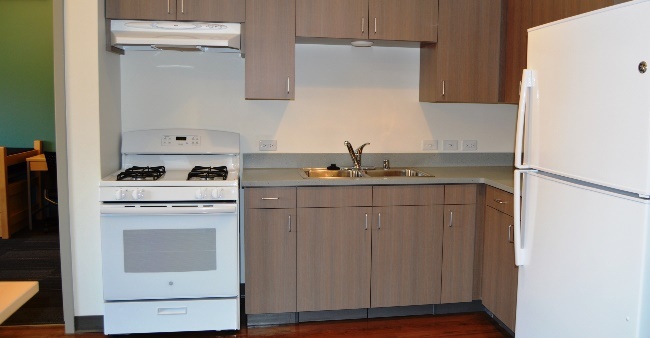 The small two bedroom loft-style type does not have a living room, and instead of a full kitchen has a kitchenette, with a sink, oven and four burner range; each bedroom has small microwave oven and mini-fridge. 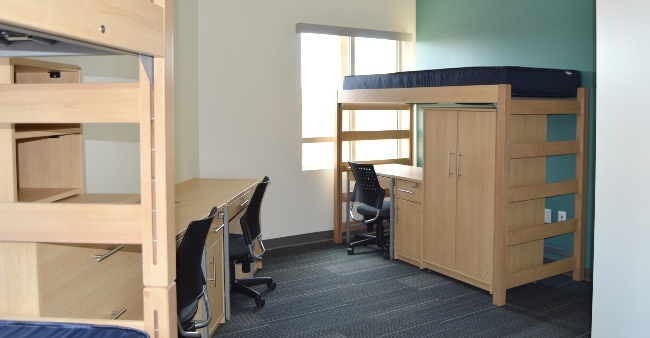 The three bedroom six-person floor plan has two full bathrooms. 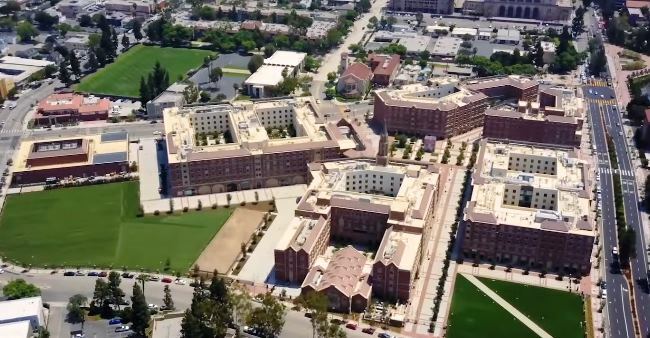 As a part of this dynamic new living environment, residents of the Priam Residential College will have access to all the recreational and educational opportunities the USC Village provides, as well as the on-site retail and dining choices of the complex. 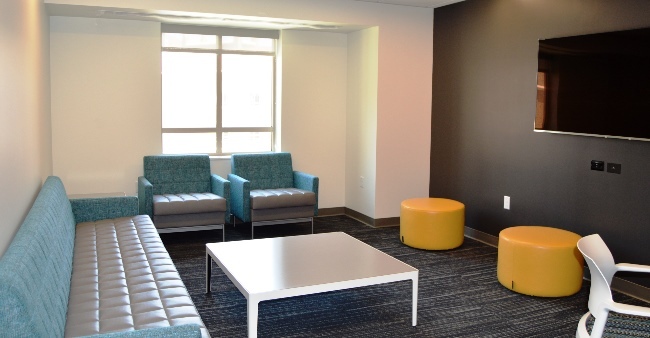 A Customer Service Center devoted to assisting residents is located on the first floor. 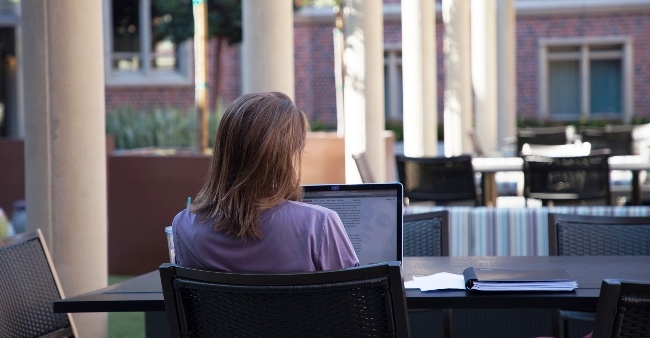 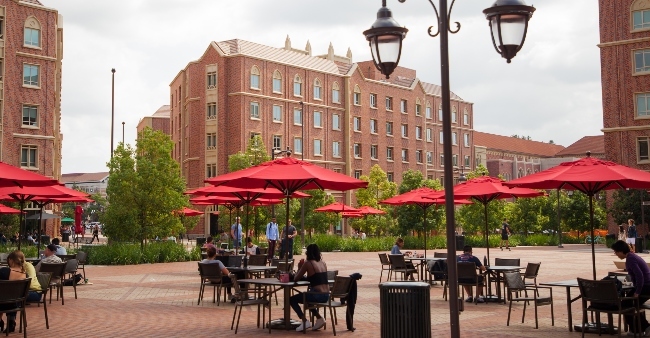 Residents will have a mandatory partial meal plan that can be used at the USC Village Dining Hall, as well as other USC Hospitality outlets. 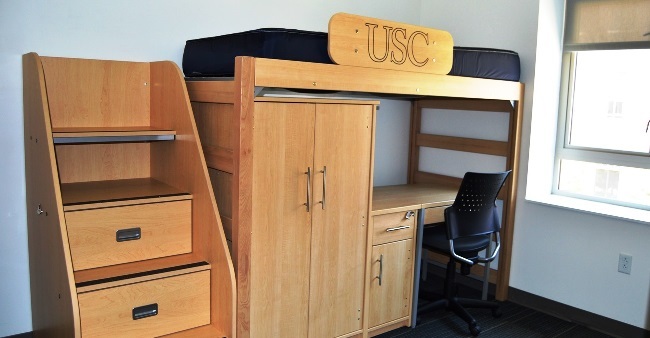 Residents of USC Village may apply at USC Transportation's website for a parking permit at the new USC Shrine Structure located about a block and a half east on Jefferson. 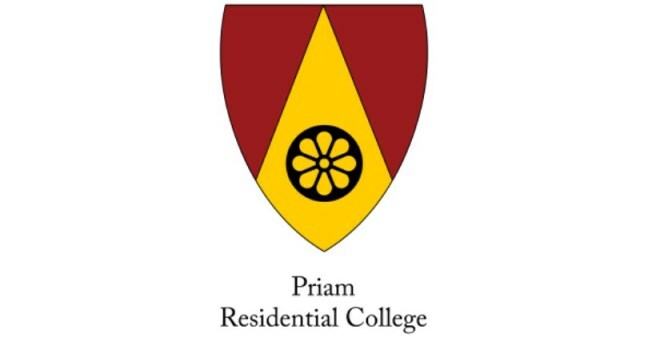 This building is home to Priam Residential College for Innovation and Design, a program that supports the interests and passions of students in the areas of technology, science, and design. 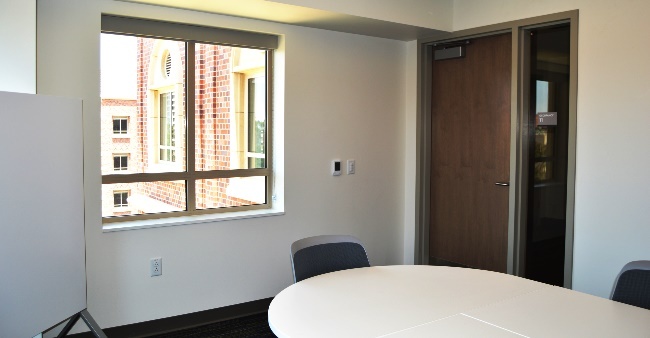 This community will encourage the pursuit of solutions to global challenges through creativity, innovation, and novelty.